Facility managers need to be wary when contractors, temp agencies or even a friend recommend someone who can get a job done for a price that seems too good to be true, especially if it relates to electrical work. A recent survey of managers in Ontario who oversee electrical work at their facilities indicates that close to 40 per cent don’t realize the Ontario Electrical Safety Code (Code) applies to work in their buildings. But it does. In fact, the Code must be followed for all electrical work – maintenance, repair and new projects. The Electrical Safety Authority (ESA) is responsible for public electrical safety in Ontario. And the law is clear: all electrical work that’s done for hire — from small repairs to major installations—must be done by a Licensed Electrical Contractor (LEC) and with the required electrical permit(s) from ESA. 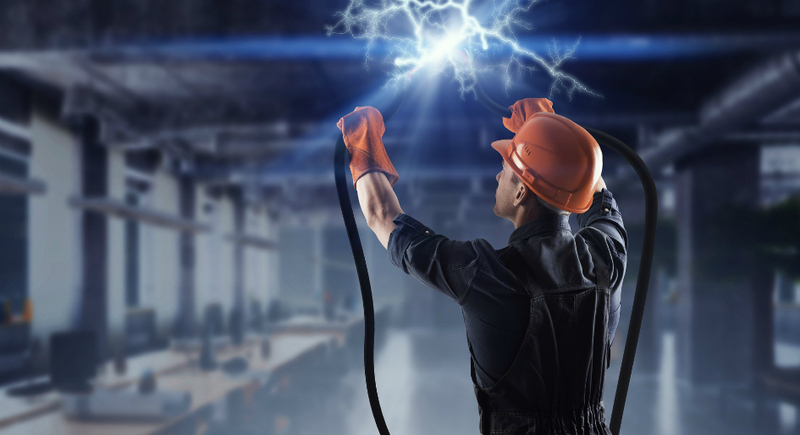 An on-staff electrician can complete repairs and replacement work, but he or she must follow the Code and also get the appropriate electrical permit(s). The requirements for safe electrical work detailed in the Code are meant to protect facility owners, businesses and individuals from potential dangers. Ontarians should understand the requirements of the Code and the different options for staying compliant. The first step is to hire the right professionals for the job. Electricity is an essential part of our lives, but it is also dangerous. Limiting risk and keeping occupants and consumers safe is paramount. Here are three more reasons why ignoring Code requirements can come back to haunt facility managers. Imagine this scenario: you’re renovating one of your properties and decide to hire an unlicensed contractor to install energy efficient light fixtures. It’s a pretty basic job, so you’re confident this person can get it done. Five years later, you want to make the facility more attractive to tenants and decide to install some green technologies to reduce energy costs—solar cells, some battery storage and two stalls for electric car chargers. This time you hire an LEC who gets the proper permits. While the LEC is doing their work, they notice some work that is not up to code and poses serious safety hazards. The ESA inspector notices the same. All of a sudden, your entire lighting system needs to be re-installed at a significant cost. Luckily, in this scenario, no one was hurt or killed by the unsafe electrical installation. But what if electric service has to be cut off entirely until it’s safe. In January, at the Bel Marine retirement facility in Belleville, Ontario, power was shut down and residents were forced to move. Violations to both the electrical and local fire codes put vulnerable people at imminent risk of electrical shock or fire. While such examples are extreme, electrical service can be cut off as a last resort to protect the safety of the public and occupants of units. A closed property is an extremely costly problem. Operating outside the rules is risky; if something goes wrong, the onus is on the property owner. Insurance companies take risk very seriously, and if it’s found that work on a property wasn’t done to Code, it could invalidate a policy. An insurance company could decide not to pay out a claim, and the facility owner would be on the hook for repairs. Not only could they lose their own property; they could also be held liable for third party damages, and a facility manager could lose their job. Between 2011 and 2015, there was an average of 651 fires per year in Ontario caused by electrical wiring and outlets. Hiring an unlicensed contractor isn’t worth the risk. There is a definite financial risk associated with using an unlicensed contractor, but managers should mainly be concerned with the safety risk to people. According to the Office of the Fire Marshall and Emergency Management, between 2006 and 2015 there were 26 fatal fires in Ontario caused by faulty electrical wiring. No matter how big a discount an unlicensed contractor offers, it’s simply not worth risking lives. The identification and adoption of safety standards is one of the great success stories of the 20th century. The fact that we don’t often worry if appliances we buy will catch on fire or if the light switch we flip will electrocute us is evidence of almost a century of work developing and improving safety standards. And each time someone ignores established codes and circumvents this system, everyone is less safe. At the end of the day, the goal of ESA, similar to facility managers, is to ensure facilities are safe – for the public and for the tenants who work or live in them. ESA is here to help facility managers accomplish that goal.